Yesterday, the parents of a 5-year-old boy who is suffering from a brain tumor were discovered and arrested in Spain after taking their child out of a hospital in England and leaving the country to seek better treatment options. Today, in a Madrid court, they refused extradition and will remain in custody. This whole thing is heartbreaking, and it appears like there's no end in sight to this craziness. 5-year-old Ashya King suffers from medulloblastoma, the most common malignant brain tumor in children. Last Thursday his parents Brett and Naghemeh King removed him from Southampton General Hospital, sparking accusations of kidnapping and neglect. 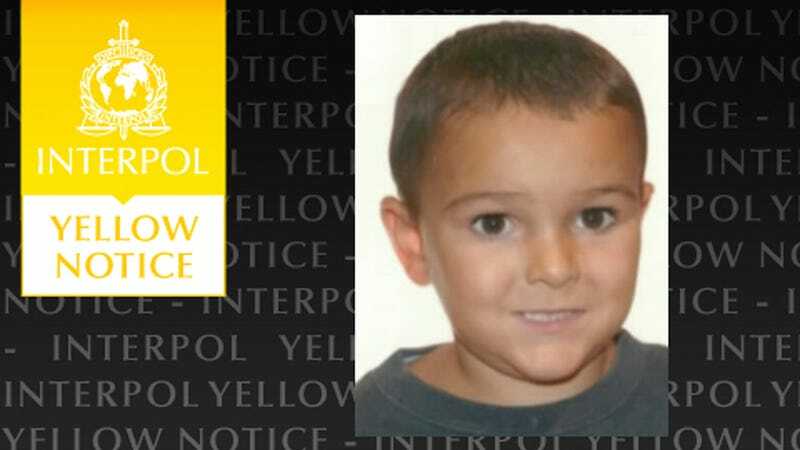 The Hampshire Constabulary obtained a European arrest warrant, the Portsmouth City Council obtained temporary wardship of Ashya, and an international search for the boy was launched. Yesterday the family was found in Malaga, Spain, after hotel employees who recognized the family from the news alerted the authorities. The boy was removed from his parents' custody and taken to a local hospital. In a video Brett King posted to YouTube just hours before the arrest, he explains the decision to remove his son from the hospital. In the clip, Ashya lies in his father's lap, hooked up to a machine, and King states that they have "loads of feeds," iron supplements and Calpol (like Children's Tylenol). He goes on to say that he and his wife wanted to start Ashya on proton beam treatment, a more precise form of radiation therapy, but the NHS would not provide it, telling him that it would have "no benefit whatsoever." It is understood they travelled to Spain, where they had a holiday home, to sell the property and release funds to pay for the treatment in the Czech Republic. Today the Kings attended a court hearing, where they refused to consent to their extradition. A High Court judge ordered they remain in custody for a maximum of 72 hours while he figures out if he will grant bail. [Ashya's] parents were taken to the Soto de Real prison on the outskirts of Madrid following the court hearing. No date was set for their return to court to hear the judge's decision on their bail application. The device used by the police was a European arrest warrant and Hampshire police somewhat enigmatically referred to the warrant being "based around neglect", whatever that means. The assistant chief constable of Hampshire, Chris Shead, said this did not necessarily mean that the parents would be charged with any offence relating to neglect. The police have refused to apologize for the search and subsequent arrest. Meanwhile, poor Ashya is in a hospital in a foreign city without his parents, and Brett and Naghemeh King are in jail, punished because, in their words, "We just want the best for Ashya."